Augmentative and Alternative Communication (AAC) addresses the needs of students with complex communication disorders characterized by impairments in speech-language production and/or comprehension. AAC uses a variety of techniques and tools, including picture communication boards, line drawings, speech-generating devices (SGDs), tangible objects, manual signs, gestures, and finger spelling, to help the individual express thoughts, wants and needs, feelings, and ideas. 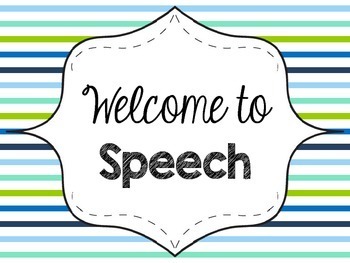 Speech Sound Disorder (SSD) includes articulation disorders, in which a child has trouble physically producing a sound or sounds, and phonological disorders (also known as phonological process disorders), in which the child produces set patterns of sound errors. Social Communication is the use of language in social contexts. It encompasses social interaction, social cognition, pragmatics, and language processing. Social communication skills include the ability to vary speech style, take the perspective of others, understand and appropriately use the rules for verbal and nonverbal communication, and use the structural aspects of language (e.g., vocabulary, syntax, and phonology) to accomplish these goals. Auditory Processing Disorder is a condition that makes it hard for children to recognize subtle differences between sounds in words. It affects the student's ability to process what other people are saying. Receptive & Expressive Language Disorder can make it difficult for children to understand what people are saying to them and/or to express thoughts and feelings through speech. A language disorder can also affect how children learn and socialize. What is the Difference Between Speech & Language? What Can I Expect at My Child's IEP Meeting?